Are You Getting New Radios? Have You Attended a Dispatch Center Town Hall? Is the Radio Communications Equipment in Your Building Affected by PSERN? 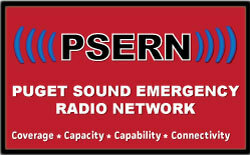 Without a radio inventory, the PSERN Project will be unable to replace your agency's radios. Your radio inventory must be submitted to PSERN-INFO@kingcounty.gov by close of business March 29, 2019. Contact the PSERN Outreach staff for any questions. Radios will only be exchanged if they are active in the system. Every active radio equals a monthly cost to your agency. Dispatch centers are part of the top priority for the PSERN system this year. The transition from the old King County Emergency Radio Communication System (KCERS) to PSERN marks a major milestone in the project. We are happy to say that equipment installation has begun for transition which has an estimated completion of October 2019*. This is a complicated process and requires extensive planning between PSERN and Dispatch Center staff. To keep all parties well informed we are holding monthly Town Hall Meetings. Please join us for our next Town Hall. Since February of this year, the PSERN staff have been working in conjunction with the consultant group, Odelia Pacific (OPC), to update and complete the Bi-Directional Antenna (BDA) Database for King County. The purpose of a BDA (part of the distributed Antenna system or DAS) systems is to provide coverage for first responders when they attend to an emergency inside of a building. BDA's pull radio signal from "the street" and then the DAS distributes them throughout a building-- a signal boost. Compiling a comprehensive database of all public safety in-building BDA systems in King County is a major body of work, but a valuable one that ensures building owners know to transition to the new PSERN system on time which keeps our first responders safer when working inside your building. How does this affect you? Starting now and continuing into the spring, PSERN and OPC will be reaching out to all building owners with a BDA/DAS system in King County, to gather data, compile all relevant information to complete our database, and to notify you regarding any updates needed for your systems. You can visit the PSERN website for more information. If you would like to request more information about this project, or would like an in-person presentation for your organization, please contact the PSERN team via the information below. Please include your name, title, organization, and the best way to contact you. Someone will return your inquiry within one business day.